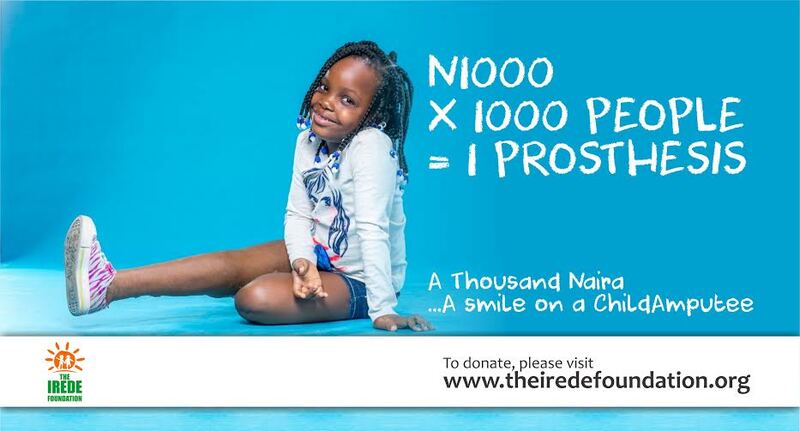 Project 1000: Put a Smile on a Child's Face. 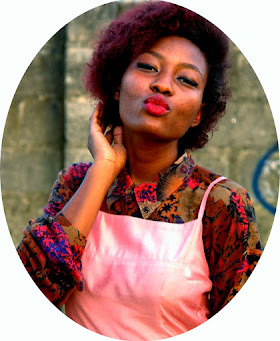 So the good people over at the Irede Foundation are doing a wonderful campaign on helping child amputees. 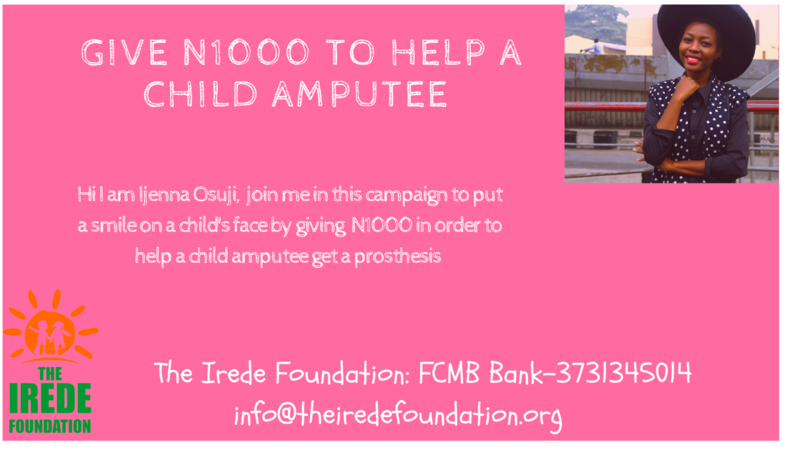 The project 1000 campaign is set up in order to raise funds for children amputees to get prostheses by calling on people to donate 1000naira and in turn put smiles on their faces. An estimated 200 million are born with disabilities or are disabled by the age of 19, children living with limb loss (either congenital or acquired ) feel different from their peers. The cost of an artificial limb is a heavy financial burden for most families, especially considering that child amputees outgrow their limbs as regularly as they outgrow clothing. 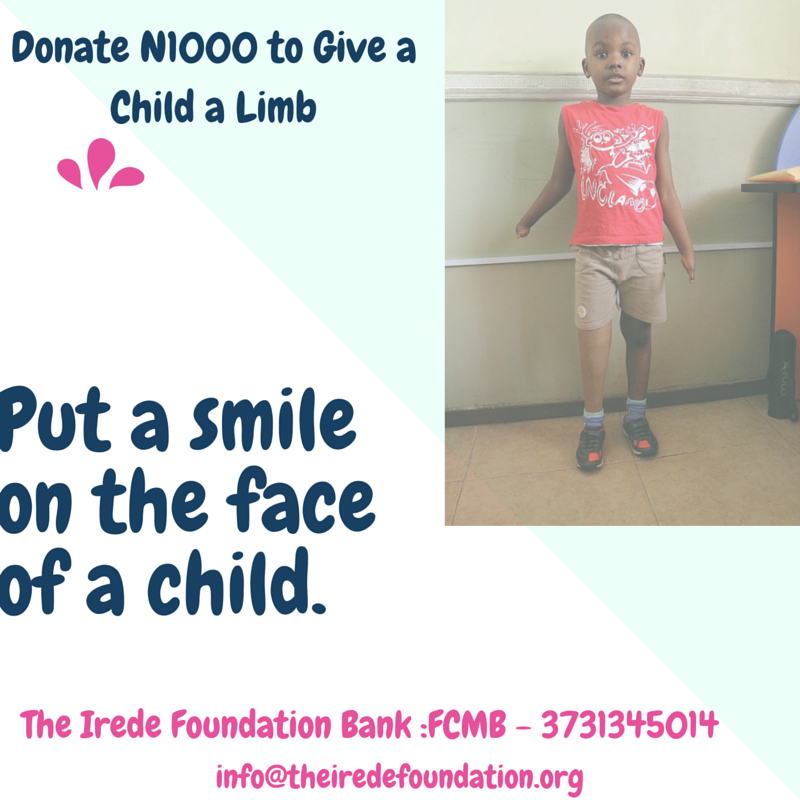 The IREDE Foundation is set up to give child amputees love, hope & joy, and over the last 3 years, we have given out 32 prosthesis and replaced 10 prosthesis. The Irede Foundation assists with the costs of standard artificial limbs and ongoing adjustments and repairs. We can't change the world... but, bit by bit, every little positive action or effort put into society makes a difference. Wishing you guys a great day ahead.